While both on-exchange and off-exchange health insurance plans can provide great coverage, there are some key differences between the two. On-exchange health insurance plans are purchased through government-created marketplaces. Currently, Nevada residents can purchase individual health insurance plans on Healthcare.gov. In the fall, enrollees will purchase coverage through a state-run enrollment platform. Off-exchange health insurance plans, on the other hand, are purchased from a health insurance company. They can be purchased directly from the company, or they can be purchased through a broker like Nevada Insurance Enrollment. Having a broker is a huge benefit. It costs you nothing extra, the price is exactly the same, you get their year round service, and they can provide deep insight into the different plans and health insurance companies that are available. There are three key reasons to consider purchasing an off-exchange plan. On-exchange health insurance is somewhat limited in the number of insurance companies that participate, and they are usually HMO’s, they can only be purchased during “open enrollment” and anytime with a provable “life event” (permanent move to NV, loss of coverage from employer, etc.) whereas you can buy a plan Off-exchange year round with waiting periods. By purchasing an off-exchange plan through Nevada Insurance Enrollment, you have access to more plans like EPO’s and PPO’s, but you cannot have the Government subsidy when buying Off-exchange. Buying an off-exchange PPO plan gives you the option of selecting a plan that will cover your current doctor, in or out of the network depending if your doctor is a part of that network. On-exchange plans generally have smaller provider networks, requiring that you pick a primary doctor that is in their network. 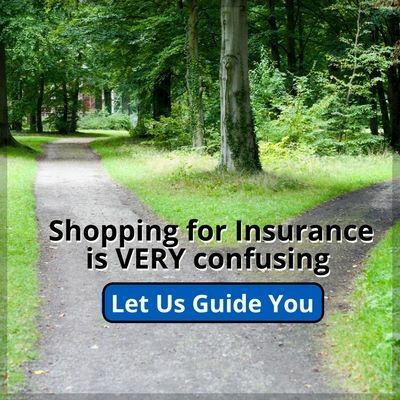 Shopping for Health Insurance with Nevada Insurance Enrollment. With so many options available, finding great health insurance coverage can be a challenge. 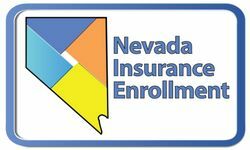 At Nevada Insurance Enrollment, our health insurance agents are here to help you make sense of your options to find coverage that will fit your needs and budget. Our agents are licensed, experienced and want to help you get the best plan at the lowest price you are entitled to. 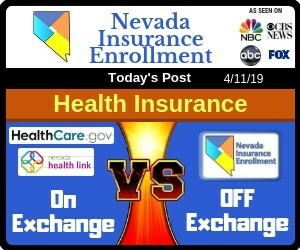 Nevada Insurance Enrollment can help you with BOTH on-exchange and off-exchange. ♦ What Does Guaranteed Issue Health Insurance Mean? When you can have an experienced and caring professional guide you.